We are Peoria, Arizona's commercial screen cleaning company. Whether you have screens on the first or fourth floor we can keep those screens clean all year long! Are you one of the few businesses in the Peoria metro area with screens on your windows? No need to worry, AZ Window Cleaners has you covered. 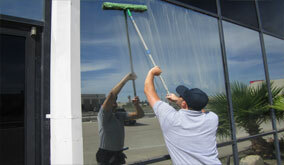 AZ Window Cleaners specializes in commercial screen cleaning in Peoria, Arizona. We can successfully keep your window screens clean all year long. 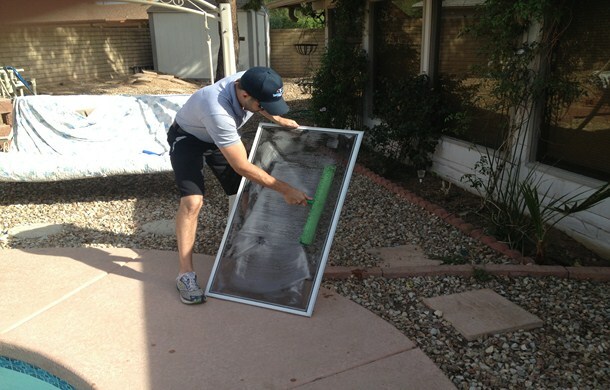 There is no job to large for AZ Window Cleaners professional window cleaning and screen cleaning team! We will keep your window screens clean whether they are on the first of fourth floor of any business in the Peoria metro area. Don't feel cursed because you have screens protecting your commercial windows in Peoria. Feel satisfied that you are blocking the sun and protecting your windows. 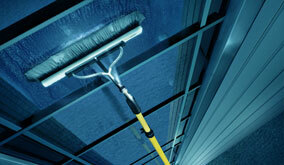 Let AZ WIndow Cleaners focus on keeping them clean while you focus on growing and operating your business. Call us today for a free commercial screen cleaning quote!